There’s no doubt that interior design can have a psychological impact. Color, texture, and shape all come together to create the overall mood and feel of a space. As the room in which you spend nearly eight hours every day, your bedroom design has to enhance its main purpose – sleep. Sometimes that means a supportive mattress but other times it means natural design elements that calm the mind and human body for a deeper night’s rest. Nature plays an important role in physical and mental health. Doctors first began to notice the power of nature in 1984 when Robert S. Ulrich tested the hypothesis that patients recovered more quickly when their hospital rooms had a window with a view of nature. After reviewing 10 years of patient charts, he found that patients who could look out on a natural scene versus one that looked at a brick wall recovered faster, had fewer negative comments from nurses, and took less pain medication. This research changed hospital design to include recovery-enhancing green space. Time spent in nature can also improve mental health. A recent study published in the Journal of Environmental Psychology found that contact with nature improved mood no matter the season. Actual contact with nature provided the biggest boost but even nature photographs made people feel better. Another study found that a 90-minute walk in nature can reduce rumination, a thought pattern that contributes to anxiety and depression. The same study also found that a nature walk reduced activity in the part of the brain associated with depression. Natural design elements can bring the look, feel, and sometimes scents of a nature walk. In so doing, they can reduce your heart rate and blood pressure, which, in turn, helps you fall asleep faster and stay asleep longer. A single houseplant in an otherwise minimalist room can have a powerful visual impact. Plants can also clean the air in your bedroom, enhancing sleep quality and improving next-day performance. NASA put out a list of plants that remove biotoxins from the air which included the Gerbera daisy, English ivy, aloe vera, mother-in-law’s tongue, and the spider plant. If you’re not sure what kind of plant you want to use, start looking at varieties that naturally grow in your area. Local vegetation can feel as though the out-of-doors extend inside. Photos and paintings of natural scenes can add a bit of color while relaxing your mind for better sleep. Pieces that focus on a single leaf, branch, or tree have the benefit of a simple, clean appearance that won’t fight with an otherwise sleek interior design. Natural textures make you feel like you’re in nature. Wood is usually the first choice, but stone, brick, and faux textures can maintain a minimalist color palette while adding the depth. You can also think even simpler by using natural fabrics like cotton and linen in your bedding. Not only do these fabrics breathe beautifully, but they look and feel soft and natural. One or two well thought out and placed design elements can put nature at your fingertips. Whether it’s a plant on your nightstand or stunning artwork, you’ll rest easier and sleep better. I recently attended the annual Interior Designers of Canada conference at the new Ault Hotel in Winnipeg. It was so inspiring to meet designers from all over Canada and share ideas. The new Ault Hotel was the perfect venue with its bold and vibrant design. My favorite space is the lobby with the incredible Dragnet lounge chairs...inspired by rope fishing nets. Furniture design at its best! Sitting in these Dragnet chairs make you feel like you are in your own little world but can still peek out at the space around! I have been super busy the past 12 months with both the Interior Design and Construction of a renovation to New Beginnings Church in Winnipeg. It was a privilege to help Pastor Dan and Pastor Ryan make their vision for the church a reality. We transformed a dark and unused space into a vibrant and inviting interior where members of the congregation now spend hours socializing and working together. The following are a few photos before, during and after construction! This did not invite socializing! Ahhh...this is already feeling much better!! So happy to see that ceiling gone! Lets grab a cappuccino or juice and chat about a few things! Most of us don't have the luxury of having large bathrooms with plenty of storage. If you have a small bathroom you need to be smart about storage and look at different ways to use wall space. The following bathrooms show some great ideas on how to take full advantage of space in a small bathroom. This bathroom measures 6' x 9'. The alcove that used to contain the toilet was converted to a linen storage with drawers and mirror door. A new low profile wall mount toilet that has the tank in the wall was installed in the centre of the space and allows 2' of space between the toilet and vanity. A new vanity with drawers was added. The mirror above the vanity is a large cabinet with mirrored doors that provides 6' of storage as well as recessed light onto the counter. There is also a bench and shelf for shower products in the shower! Compact and so efficient!!! This space is 5' wide. The storage has become completely integrated into the design of the space. Two fully functioning drawers under the sink provide much more accessible storage than a door cabinet. The partially recessed mirrored wall cabinet provides soft lighting on three sides and opens to a mirror behind shelves. Towel bar mounted on the sink means towel is always handy for wet hands! The open wood shelving hold a week's worth of bath towels and provides ample counter space. Notice the wood ledge built into the wall with lighting...perfect for objet d'art!! This powder room makes use of a full height mirror on the end wall and a skylight to visually expand the space. A full height wall cabinet has a glass door that slides up and down to allow some open display and some closed storage.Sliding glass doors below the sink also allow full access to this cabinet. Partially recessed mirror cabinet above sink with a built in light bar each side provides the best lighting for make-up or shaving...no awful downward shadows!!!. Lighting has the potential to be the most dynamic and dramatic element in any interior. But it is too often used to only a fraction of it's potential. Lighting is my favourite part of interior design and I always try to use it in unique ways to create drama and personality. I like to include at least three different types of lighting in each space: Indirect lighting, accent lighting, and task lighting. The combination of these different types of lighting divides a space into light zones and gives an interior depth and character. A single light source in a room creates a flat washed out space. The following images are some really good illustrations. The pendant lights above the bedside tables add sparkle and glamour to the Master Bedroom as well as providing reading light. The backlit fabric panel behind the bed glows with a soft light, providing dramatic indirect lighting. The LED lamps above the wardrobe wall wash the doors with light when they are closed and illuminate the interior when the doors are open. This is a great illustration of layering light sources. Several sources of light in this living space create light zones. Some of the walls are built out to provide a recess at the base for indirect lighting and a light cove at the top of the wall. This gives the room a lot of depth, making the walls appear to float. Accent lighting is provided by recessed swivel spot lights in the ceiling. These lights can be directed to focus on any item in the room and allow the client to change the patterns of light in the space easily. The floor lamp provides both a light source and a sculptural element in the centre of the room. This corridor shows how spaces can be illuminated by thinking outside the box. The recessed floor lights are very bright LED lights with a narrow light beam. The light washes up the textured wall and bounces down off the white ceiling. This "bounce" of light down from the ceiling is what illuminates the space in the same way a ceiling mounted light would...without the glare. Wall panels are by Modularts. These Pendants by Foscarini are stunning, creating subtle light patterns on walls and a soft down light perfect for dining or bedside. Manta Rhei from Art Com and Selux. The light "tiles" can be choreographed to move in various, beautiful ways. The design is based on OLED technology, a lighting technology that allows for very thin, very light-weight panels. The Organza fixture by Charles Loomis is made of layers of sculpted etched glass and available in Diameters up to 60". Spectacular in a stairwell! I wanted to share another highlight from my recent trip to Buildex 2014 in Vancouver. This incredible recycled flooring is made from discarded wine barrels. It is rich with texture and patina and I love it. I have to find somewhere to use this! It is obvious in a wine cellar but the possibilities are endless. This wood flooring is made from old oak wine barrels by Blue Grouse Wine Cellars. The staves of the old barrels are pulled away from the hoops and peeled into wood veneers which are laminated to engineered baltic birch flooring. The flooring is available in three different formats: cooperage (shown in this illustration), which comes from the outside of the barrel heads showing the cooperage stamps; wine infusion, which comes from the inside of the barrel heads showing the red wine stain; and staves, which come from the body of the barrel showing the markings of the hoops. Stave Flooring. The hoop marks add an interesting pattern and patina to the floor. Wine Infusion Flooring. This is made from the wood on the inside of the barrel and the colour is incredibly rich and vibrant. LOOK UP...WHAT DO YOU SEE? If you are at home and you look up you likely see a flat painted drywall ceiling. If you are at work chances are you are looking at a flat acoustic tile ceiling. The ceilings in the spaces we live and work in are too often overlooked. Imagine if every time we went outside the sky was a flat white with no blue or clouds, no stars, no changing colours of sunsets or sunrises. We can't imagine this, and yet we so often overlook the "sky" of the spaces we spend 2/3 of our time in. Making ceilings dynamic and uplifting does not have to cost a lot of money...often just requires some imagination. The following photos are some examples of some of my favourite "ceiling skies"
This ceiling is made with clear acrylic panels laid into an acoustic ceiling grid that has been painted black. The track lighting above sparkles through the transparent panels and creates an illusion of depth. The black frames have been repeated in the wall photos, providing drama and unity in the space. This ceiling has been layered to provide different levels of lighting. The perimeter cove lighting creates the illusion that the walls extend upward. The lighting above the bed canopy makes the ceiling appear to "float" above the canopy. The canopy itself defines the sleeping area and gives the bed an intimate and cozy vibe. The original cove ceiling in this space was highlighted by painting the area between the beams lemon yellow. The brilliant colour beautifully balances all the rich textures in the room. This high cove ceiling was covered with a dramatic wall covering print that creates the design focus for the room and visually anchors the ceiling in the tall space . The careful balance of black and white and textures in the other areas of the space tie it all together. Lighting can be used to create a sculptural element on the ceiling. This modular light system has been configured to provide both general illumination in the room and pools of accent light on the ceiling. Effects are ever changing depending on which lights are on. Recessed square lighting coves in this ceiling give the illusion of skylights above the bed. Light patterns on the ceiling of the coves can be varied and selected by remote. A truly dynamic ceiling! I just returned from one of my frequent trips to Vancouver and every time I visit there I find wonderful new examples of cedar used in different art forms. Geoff Ross is inspired by Coastal First Nations art and creates wall panels that infuse representations of ancient designs with stained and chiselled cedar, copper and aluminum. The details are subtle but stunning. 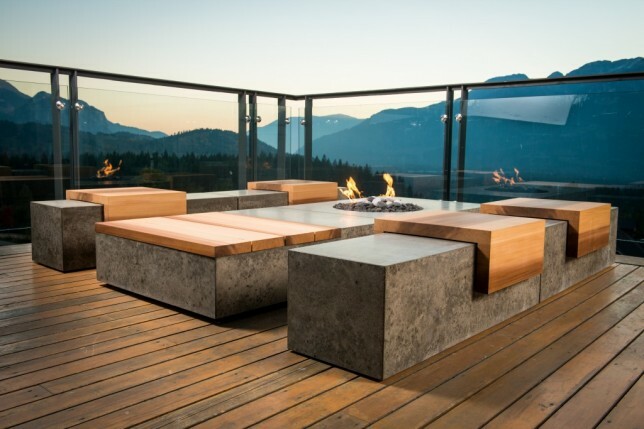 Sticks and Stones is an artisan company based in Squamish BC. 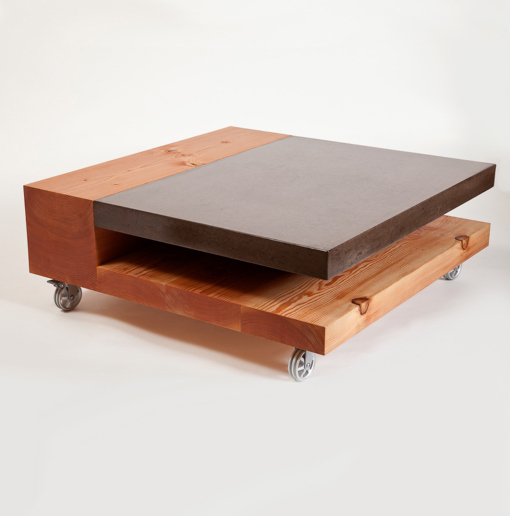 They design and create furniture and millwork from concrete and wood using salvaged materials. Their designs are sleek, contemporary and practical. This grouping is from the Social Series....takes sitting on a log by the fire to a whole new level! 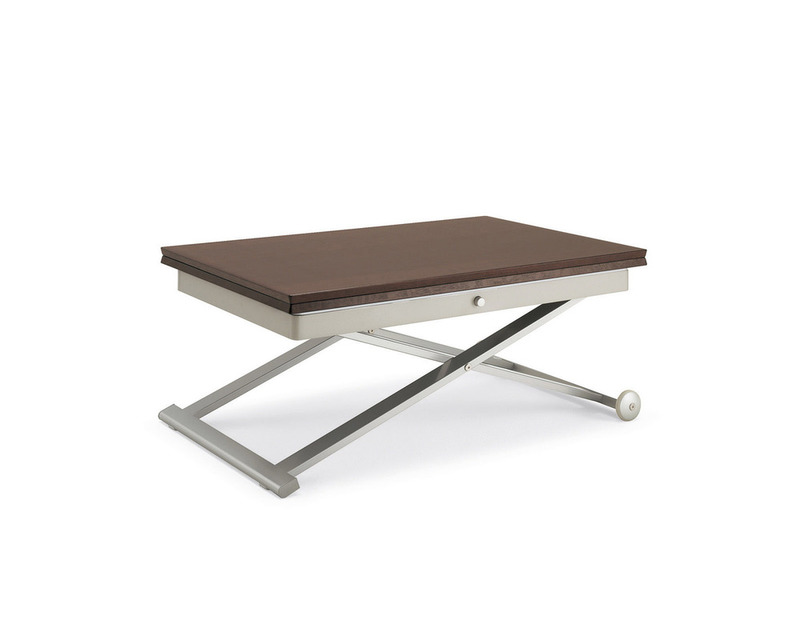 The gravity defying Calvin table from Sticks and Stones is a beautiful study in mixed materials. I love the placement of the knots on the edge of the table. I recently had the privilege of providing Interior Design and Space Planning for the Royal Canadian Mint's new Hieu C. Truong Centre of Excellence Conference and Training Centre in Winnipeg. 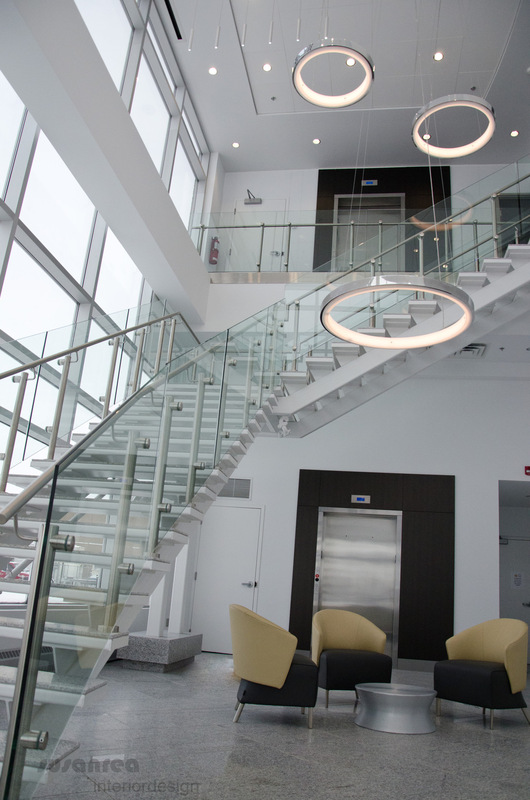 This is a state of the art facility that showcases the Mint's new branding elements of elegance, prestige, and innovation. Simplicity, innovation and the use of cool metals were to be the guide for the design throughout. The conference room needed to function as both a meeting centre and a training room for web based conferencing as well as live sessions. The following images present some of our solutions. All Audio Visual equipment is concealed in Millwork. Opposite end of Conference Room allows for dual screens for English and French presentations, as well as video presentations from a speaker anywhere in the world. Washroom Details. All lighting is on occupancy sensor. Hinged side panel of sink ledge conceals soap dispenser. Cool metals and gold accents.